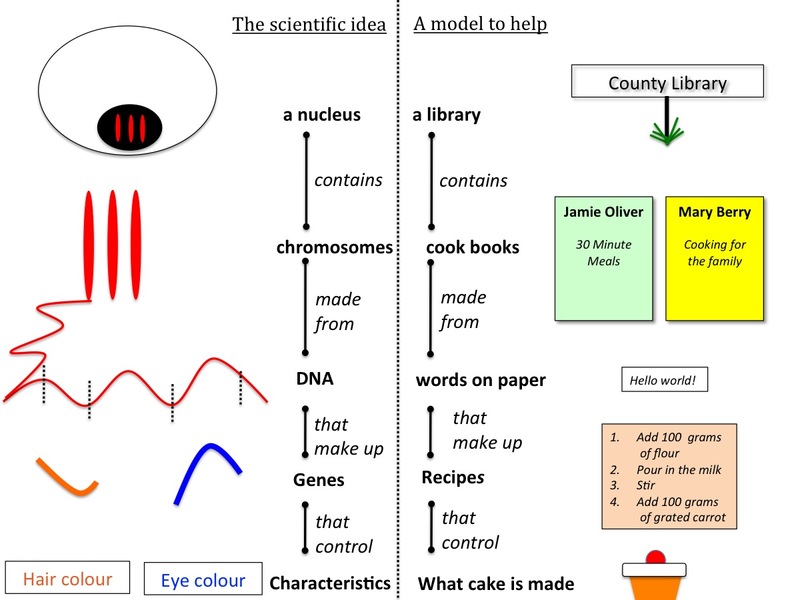 An understanding of genetics is an important outcome of any science education course. Comprehension of this subject isn’t just crucial for students looking to start a biosciences-related degree; it also ensures we have scientifically literate citizens who can participate in meaningful debate about genetically modified organisms and gene therapy. Genetics involves a vast and complex language that teachers need to explicitly address so students can construct understanding. Extract DNA from strawberries as a demonstration. This can then lead to a discussion about how DNA is organised inside the nucleus. This fantastic video on PCR is a great addition to any lesson on the polymerase chain reaction. The lyrics are worth listening. You can also download them here. Why don’t DNA changes always change the phenotype? Why is DNA stored inside the nucleus in eukaryotic cells? How does the genome differ across different species? Refer to plants, bacteria and animals in your answer. Does organism complexity correlate with genome size? Explain your answer.